When you are in need of a change, when you want to freshen up your home and make things new, we are here to step in and offer you the kind of help that you need. We offer the Tempe, AZ interior painting services that you need for your home, the services that will provide you with the fresh start that you are looking for. We are here to take care of you, we are here to take care of your home, we are the ones you should trust with your painting. Why should you choose to work with us when it comes to the painting of your home? We will give you a fresh start. We will come into your home and help to change things up. If you want a new look for the home, if you want a new finish for your walls, then we are here for you. We will take care of your house, giving it all a fresh start. We will refresh things and provide you with a new look for the home that you love so much. We will take care of your home in the best way. We will always provide you with top quality results that will keep you feeling satisfied. We will work hard to ensure that you are happy with the way that we work. We will give you a top quality finish. We know that you want the best for your home, and that is exactly what we want for you, too. We will work hard to give you the look that you want. We are here for you. 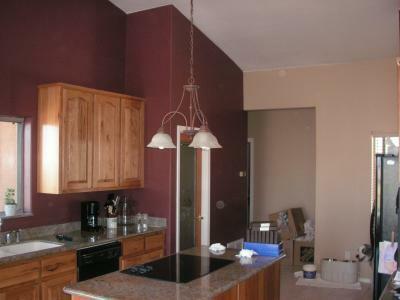 We want to step in and handle your Tempe, AZ interior painting.